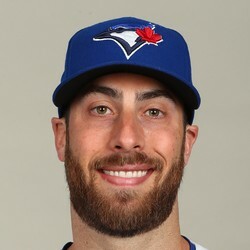 Anthony Bass came on in relief of an ineffective Ross Detwiler today and scattered four hits over 3.2 innings. He stood to pick up the victory but the rest of the Rangers bullpen fell apart and the Mariners rallied for an 11-10 win. Bass did not walk a batter and struck out three in his relief stint. Unfortunately, he lost his chance at picking up a win when Tanner Scheppers and Neftali Feliz blew a 10-5 lead.